Import Eskport less Route Port Krueng Geukeuh Limited - Public Ports Krueng Geukeuh, North Aceh until now still not squirm at its optimum, whereas the expectations of the Government of North Aceh is very high on the port, just hope it apparently can not be achieved, the reason the route the ship is still limited and other infrastructure such as container and water needs clean minimal. Although the central government taken control of the President Jokowi - JK has a very ambitious program about marine highway and plans to develop ports in Indonesia is no exception Public Ports Krueng Geukeuh, but up to 100 days of age Jokowi government - JK Krueng port Geukeuh still mediocre, the proof exporters and importers are still more choose Belawan as a place of activity. 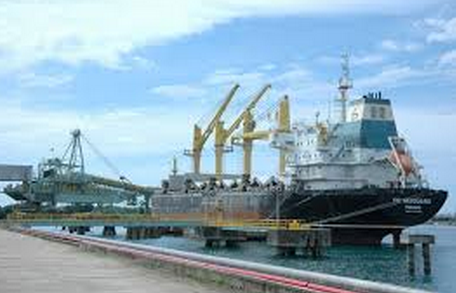 Besides, it is recognized by the Regent of North Aceh, that port is still minimal Krueng Geukeuh shipping route, the new route majors there Porkland Malaysia, while the other route has not been opened, such as Surabaya and and other areas in Indonesia, as well as supporting infrastructure such as container and water needs net also minimal, as a result the port activity remains limited. ''There is a shipping activity through the Port General Krueng Geukeuh but still not optimum, a new week about six ships and even then the average export of goods imported goods while practically nothing, '' said the Regent of North Aceh H Muhammad Thaib aka Mad Cheque accompanied by Head of Economic Setdakab Halidi, S. Sos, MM Wednesday (28/1) in Lhokseumawe. On the other hand, added Checks Mad support Regency / City Public Ports environment Krueng Geukeuh also not maximized. '' There are about eight Regency / City of Port Krueng Geukeuh environment, but the entire export commodities still done through Belawan, '' he said. District / Municipal like Central Aceh, highlands, Gayo Lues, Bireuen, Sigli, Pidie Jaya, Aceh Utara and Lhokseumawe City has quite high natural resources, such as coffee, nut, cocoa and copra. '' But all that was exported through the port of Belawan, '' he explained. 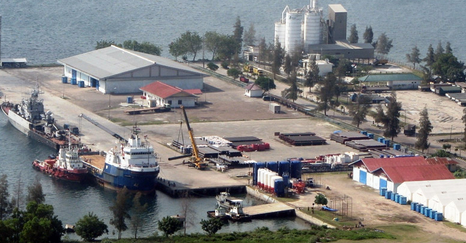 Admittedly, the competitiveness of the Port General Krueng Geukeuh still very low, despite the central government has excellent programs that marine highway, but apparently has not trickled to the Port General Krueng Geukeuh, proof of up to date mediocre port activity still has not showed significant stretching. Meanwhile, Chairman of the Chamber of Commerce of North Aceh Moni Alwi, a very pessimistic view of Krueng Geukeuh port development, although in spite of the central government through the Ministry of Commerce has issued a regulation on import export licenses to hundreds of eyes goods. The reason, explained Moni Alwi, because North Aceh government seems less attention to the business community, especially exporters and importers. '' Imagine now in North Aceh and other areas surrounding no professional exporter or importer, that there are still a beginner, we expect North Aceh regency capable of cooperating exporters and importers Aceh advanced and powerful in other areas to expand the port of Krueng Geukeuh , of course, they were given a guarantee, especially regulation, '' he said. Mentioned, so far, added Moni partnership with the Chamber of Commerce of North Aceh Regency North Aceh is not optimal, there is even the impression of any economic policy of the Government of North Aceh Chamber less involved, while the Chamber of Commerce is ready to assist and partner synergistically. '' But there is an impression covered up, so we expect there should be a strategic partnership, and if there are economic policies that will be done at the Chamber of Commerce does not have to be involved, does not mean not to seek popularity, but the partnership could be beneficial to the economic development of North Aceh, ''he said. 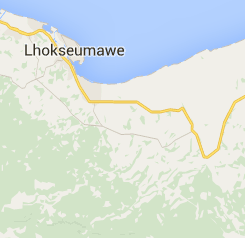 0 Response to "Import Eskport less Route Port Krueng Geukeuh Limited"